Sunny is the Academic Services Coordinator at EdBoost, focusing on building curriculum, monitoring student progress, supervising tutors, and coordinating the homework assistance program. Sunny graduated from UCLA, with a BA in Chinese History, in 2009 and has been a tutor at EdBoost since 2006. 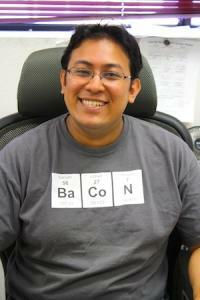 Sunny specializes in math tutoring and is well-regarded as "the tutor who can make chemistry understandable." He also loves to do history tutoring on the rare occasion that we get a history student, and especially loves reading tutoring when he can hook a student on science fiction and fantasy books. In homework help, Sunny is known for his firm, but always informed, approach to students.